IEEE UP Section Conference on Electrical, Computer and Electronics, 2015 (UPCON 2015) is being organized by Indian Institute of Information Technology, Allahabad, India in collaboration with IEEE UP Section, at IIIT Allahabad, India. 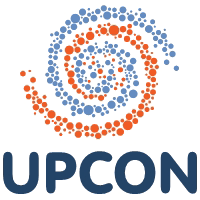 UPCON "The IEEE Uttar Pradesh Section Conference on Electrical, Computer and Electronics" is top level International Conference covering broad topics in the areas of Electrical, Computer and Electronics Engineering and Technology. This conference to be held annually at different locations in Uttar Pradesh (UP), will provide an excellent platform to the researchers to present their research work and is known as the UP-section&aposs conference. The conference is technically and financially sponsored by IEEE UP Section. There are multiple tracks (12 tracks) in the conference covering almost all areas of Electronics, Computer & Electrical Engineering. Every track has the following main components; a) Paper presentations and best paper awards for each track, b) Poster presentations and best poster awards for each track, c) Key Note Lectures, d) Panel Discussions, and e) Awards for best three PhD Theses. Through these components, this conference covers a broad range of participants and audience. Uttar Pradesh Section is located in Region 10, and is represented at the India Council. The Section was formed on 11 May 1992. Prior to that, Uttar Pradesh had been a sub-section under the Delhi Section since 28 December 1970. IEEE UP Section interfaces with the industries and academia through various technical and humanitarian activities. Section organizes various activities throughout the year. Indian Institute of Information Technology Allahabad (IIIT-A) was established in 1999, as a center of excellence in Information Technology and allied areas. The Institute has been conceived with the ambitious objectives of developing professional expertise and skilled manpower in Information Technology (IT) and related areas. As an apex nucleating institute in the area of IT, the establishment of IIIT-A, was a major step of Govt. of India towards strengthening the indigenous capability necessary for exploiting profitably and harnessing multi-dimensional facets of IT at all levels, and attaining expertise to enable the country to emerge as a leading player in the global arena. Signal Processing Biomedical Signal and Information: Theory and Methods, Bio-inspired Signal Processing and System, Biomedical Circuits and Systems. Audio Processing, Speech Information Processing: Recognition, Synthesis, Modern Signal Processing Theory and Method, Detection and Parameter Estimation, Array Processing and Multi-channels, Signal and Information Processing in Applications. Any other topics related to signal processing and applications but included in the list. Data Mining and Big Data Analysis Data Preprocessing, Association mining, Clustering, Classification, Prediction, Regression, Optimization Clustering, Data Integration, Metadata Management, and Interoperability, DataMining and Knowledge Discovery, Feature Selection and Extraction, Information Fusion, Information Retrieval and Information Extraction, Social Networks, Social Web, Graph, and Personal Information Management, Knowledge and Data Engineering Tools and Techniques, Knowledge Reengineering, Knowledge Representation, Knowledge Based Software Engineering, Web-Based Knowledge Management, Knowledge Discovery, Models for BigData, BigData Processing, Architectures and Designs of Big data, BigData Infrastructure, Cloud/Grid/Stream Computing for BigData, High Performance/Parallel Computing Platforms for BigData, System Architectures, Platforms, Design, and Deployment for BigData , Energy-efficient Computing for BigData , Programming Models and Environments for Cluster, Cloud, and Grid Computing, Advanced Database and Web Applications for BigData, Data Model and Structure for BigData, Data Preservation, Data Management for Mobile, Pervasive and Grid Computing, BigData Streaming, BigData Machine Learning, Scalability, and Efficiency of Algorithms in Big data processing, BigData Search, Mining and Processing, Search, Store and Process BigData in Distributed, Grid and Cloud Systems , Semantic-based BigData Analytics and Processing, Multi-Structured Multi-Domain BigData, Fusion and, Integration Ontology Representations and Processing in BigData, Automatic and Machine Learning, Methods for BigData, Hadoop and MapReduce based Approaches for BigData Processing, BigData, Security and Privacy, Big data Applications. Language Technologies and Information Retrieval Language modelling, Application of language technology in document summarization, machine translation, automatic essay evaluation, etc. Tools and techniques for aprsing, chunking, tagging, morphological anaylysis and generation. Special emphasys on Indic languages. Question-answerring and recommonder systems. Contextual search. Any other topics related to signal processing and applications but included in the list. Robotics and Artificial Intelligence Aerial Robotics and Unmanned aerial vehicles, Agricultural Robotics and Automation, Algorithms for planning and control of Robot motions, Algorithms for Trajectory planning, Autonomous Ground Vehicles and Intelligent Transportation Systems, Bio Robotics, Cognitive Robotics, Computer and Robot Vision, Haptics, Human Robot Interactions and co-ordinations, Humanoid robotics- Multi modal gesture based communication, Biped locomotion control , Kinematics, dynamics and control of manipulating as well as mobile robots, Mechanisms and Design, Model based optimization for Robotics, Networked Robotics, Parallel manipulators, Rehabilitation and Assistive Robotics, Robot learning with machine learning techniques, Robotic hands ,Grasping and Manipulation, Safety, Security and Rescue Robotics, Software Engineering for Robotics and Automation, Space Robotics, Surgical Robotics, Tele Robotics, Any other topics related to robotics but included in the list. Prospective authors are invited to submit original research papers in electronic format through Easy Chair (http://easychair.org/conferences/?conf=upcon2015). Unregistered authors should first create an account on Easy Chair to log on. All submissions must be in English only. Papers for both oral and poster presentations should comply with the IEEE format and specifications. Authors are requested to submit full paper (Maximum 6 pages, double-column A4) using the IEEE conference template. The IEEE paper template can be downloaded from http://www.ieee.org/conferences_events/conferences/publishing/templates.html. All papers that conform to submission guidelines will be peer reviewed and evaluated based on originality, technical and/or research content/depth, correctness, relevance to conference, contributions, and readability. Acceptance of papers will be communicated to authors by email. Accepted papers after the review and presentation in the conference will be included in the proceedings of IEEE UPCON 2015 in IEEE Xplore Digital Library (www.ieeexplore.org). The presentation of the accepted paper during the conference is mandatory.